Happy Wednesday friends! I hope you are doing well and enjoying your week! I feel like I am still recovering from our little trip to San Antonio over the weekend. I love to travel, but I am not a fan of the unpacking and recovery time. 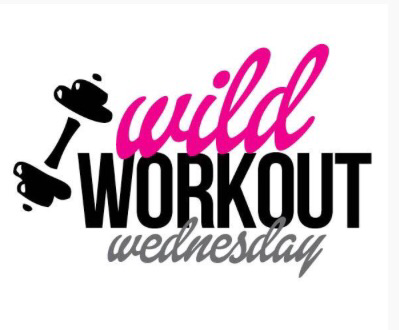 I am linking up again today with Annmarie from The Fit Foodie Mama, Angelena Marie from Angelena Marie: Happy, Healthy & Balanced , Michelle at Fruition Fitness and Nicole from Fitful Focus for another Wild Workout Wednesday recap! Feel free to add to the link up and join in the fun! Thank you for all the kind words last week about changing up my distance for my upcoming race. I talked to the race director and I am pretty sure that is what I will be doing. My hip has just not been really happy with me plus running has just not happened the way I have planned. I have been discovering that I kind of stink at following a training plan…I really don’t know why. So I will be dropping from the half marathon to the 5k, and then working on getting this hip back in shape before I pick another half to run. I am disappointed in myself a bit, and in my body, but I am trying to stay focused on the positives. Thursday- Body pump and hopefully 2-3 miles. Friday- A walk with the kiddos. A dr appt threw the plans a little, but that happens sometimes. Saturday- Pretty much a rest day. I was worn out from traveling. I did walk some before we watched the Spurs play, so I did get some steps in. Tuesday- Biked 6.45 miles and Zumba. Overall it was not a terrible week. I def feel like my glutes, shoulders and triceps are getting stronger. I was able to up my weights a bit in body pump for a few muscle groups, and the ones where I stayed the same I felt challenged but not like I was going to pass out! Monday- Body Pump & maybe piyo and zumba- Gonna try this again! How have your workouts been going? Do you use a training plan? Ps, I am getting back to my comments soon…we had a water heater flood our house on Tuesday night and my SIL is in the hospital in critical condition so I have not been on my computer as much to reply! Have a joy filled and healthy day! This entry was posted in Fitness, Uncategorized and tagged healthy, link up, running, training, Wild Workout Wednesday, workouts on February 10, 2016 by chocolaterunnergirl. Here we are at Wednesday again! It has been another week filled with fun workouts! Oh, and keep having to remind myself that going to the grocery store after the gym is really not the best idea!! 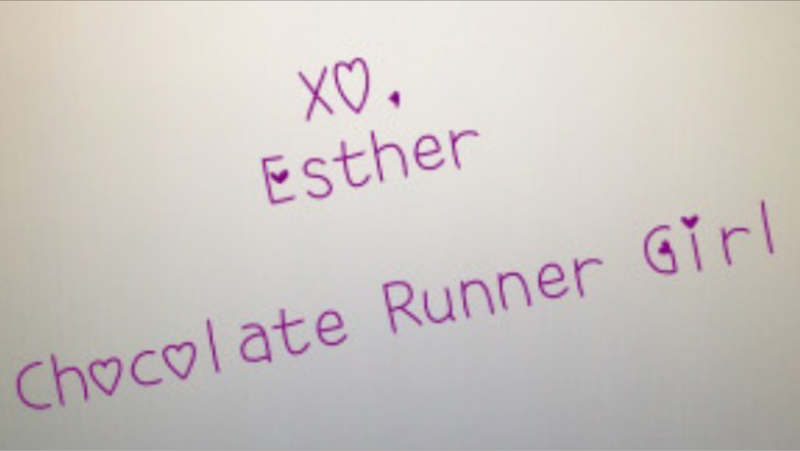 Stick to the list Esther, just stick to the list! Haha I am sure some of you can relate to the RUNGRY feeling! 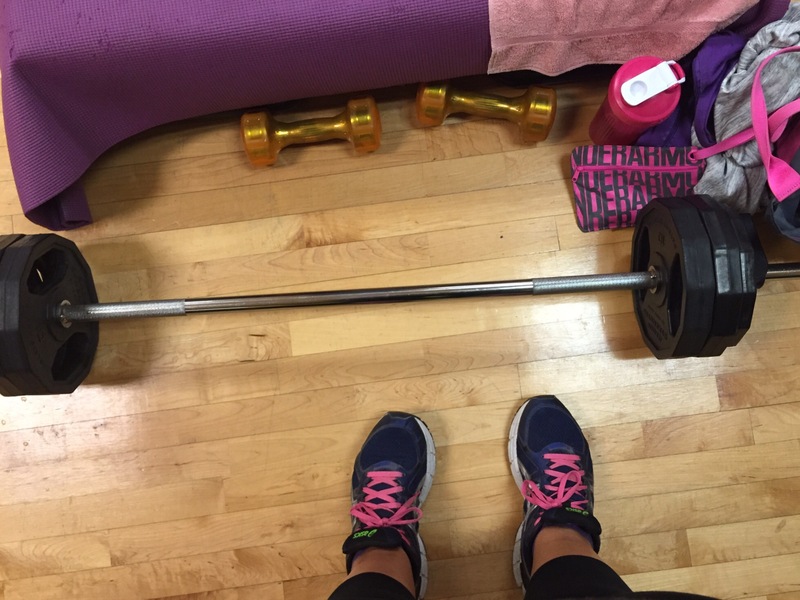 Saturday- Body Pump or rest & LOTS of stretching and foam rolling! Sunday- Race- was supposed to do the 10 miles, but I am sticking with the 5 for now. If some miracle happens and I am up for it, I will do the 10. Plus LOTS of stretching and foam rolling! Friday- Ended up more of a rest day due to a sick kiddo and working late. I did manage a small walking workout. Saturday- I managed to get up booty up and I went to piyo. It felt great to get some good stretching in since my hip was a bit of a mess. 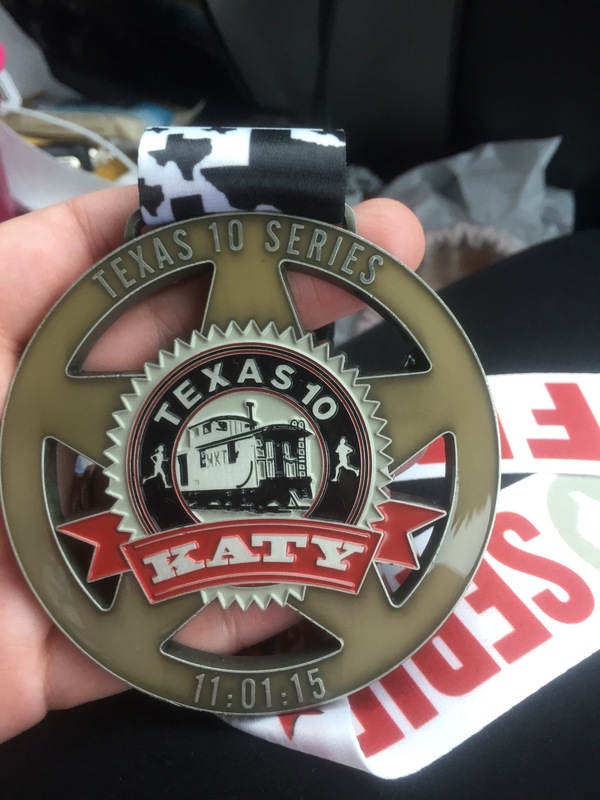 Sunday- The Texas 10 series race- 5 miles. You can read my recap here if you so desire! I am participating in a workout challenge with the focus of raising awareness for Batten Disease. healthy child beginning with vision loss, declined cognitive skills, and seizures. Progressively, children suffer loss of memory and speech until they are mentally and physically incapacitated, eventually leaving them wheel-chair bound, then bedridden. With no current treatment or cure, Batten disease is always fatal, often by the late teens or early twenties. There is a young boy in my community who was diagnosed a few years ago and his family has been challenging us to DO SOMETHING! So these workouts are for Will! Wednesday- Today was a great combo of body pump followed by an hour of yoga! 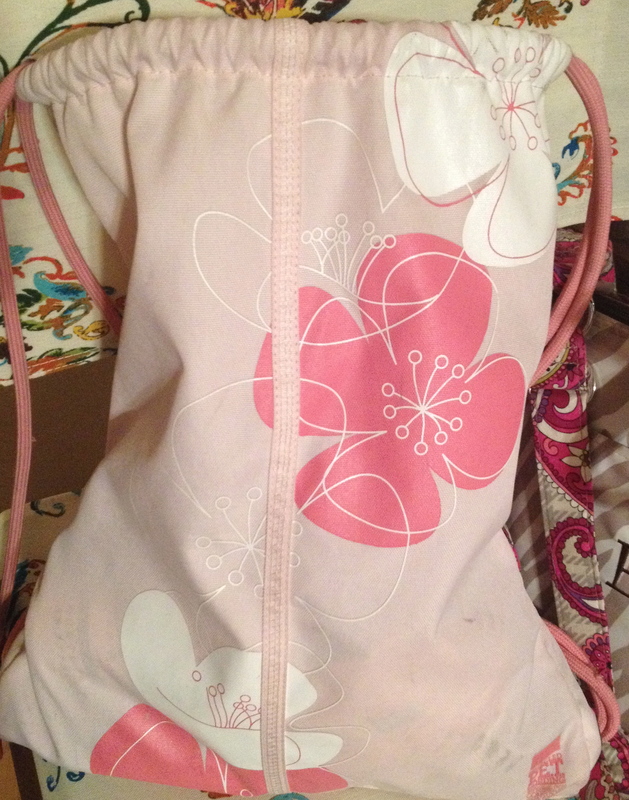 It was perfect for stretching out my super tight muscles and it really felt great on my hip! I even attempted a new move today. I almost fell on my face but I managed to hold the position/stretch! I have not been to just a yoga class in a LONG time! I kept trying to make it but it hadn’t worked out till today! I am always nervous about trying new classes. I feel like I am going to be singled out or stared at since I usually don’t have a clue what the heck I might be doing! Thankfully those thoughts are usually proven wrong and I am welcomed with open arms! Any plans for some new classes? How do you overcome your fears of trying something new? 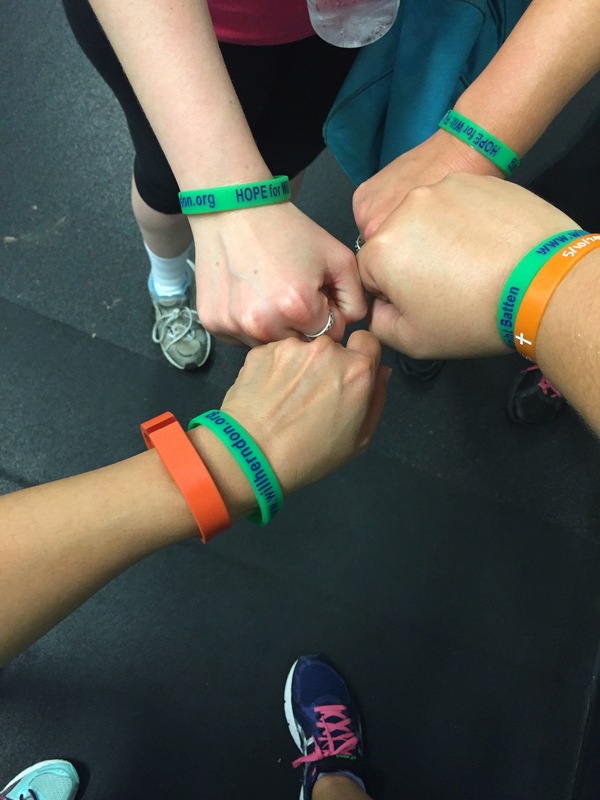 Have you been motivated to workout to help raise awareness for something? Tell me about it! 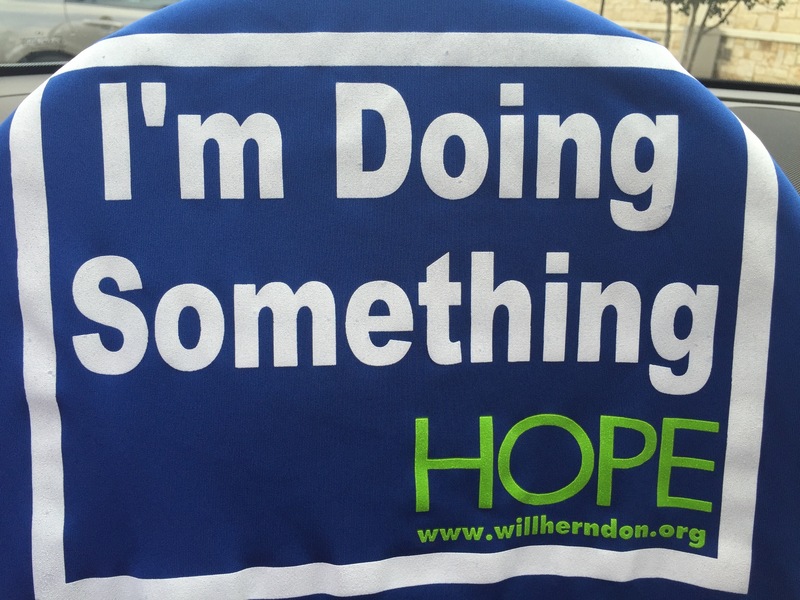 This entry was posted in Fitness, health and tagged Batten disease, biking, body pump, elleiptcal, Hope for Will, injury, Texas 10 series, Wild Workout Wednesday, Will Herndon, workouts, Yoga, Zumba on November 4, 2015 by chocolaterunnergirl. Happy Wednesday friends! Sorry it has been a few days since I last posted. Things have been a little on the nutty side. Life throws curve balls some days, and the last few weeks it has been way more than usual for me. It is not the end of the world, but my hip has flared up again…so there has been no running once again. Walking and elliptical have been ok, but I have to say that I am a bit discouraged about it. I have a dr appt in a few days and we will see what he says about it. Even though my workouts haven’t been awesome, the weather has been gorgeous! So my workout plan for this past week has been a bit different than I planned. I also spent some time with a dear friend who is here and in the hospital. Add to all that, I have been WAY exhausted. I know part of it is from the weekend where I was caring for 3 kiddos and they had some sleep issues going on. Of course they wanted to share their sleeplesness with me! So party in my bed several times a night certainly did not help with my sleep. Thursday: Walking…and some of that walking included getting very lost at the hospital looking for my friend’s room. Saturday: Walking all over the place! Plus carrying a baby all over the house. 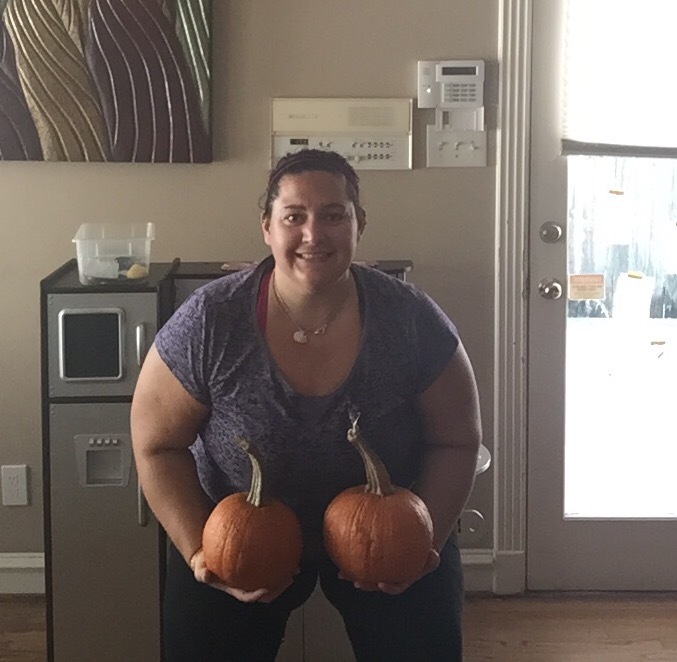 Even did some pumpkin squats for a workout challenge I’m in! For the next week I am aiming to focus on stretching, foam rolling and getting my hip back in shape. I have a 10 mile race in 11 days (I am pretty sure I will be doing the 5 mile loop instead), so I really want to at least try to run a few times before the race. I have pretty much all expectations for this race, except to finish it! How have your workouts been lately? Fill me in! Training for anything? This entry was posted in Uncategorized and tagged injury, walking, workout, workout Wednesday, workouts on October 21, 2015 by chocolaterunnergirl. I have seen a lot of really cute posts over the past few weeks especially about ‘five things.’ This week I decided to play along! I am at the gym a few times a week, and I do outside workouts a few times as well. For all my workouts I pretty much have the same essentials! This is the one I have now. I have been through a few over the years but I really do like the Polar ones. 3. 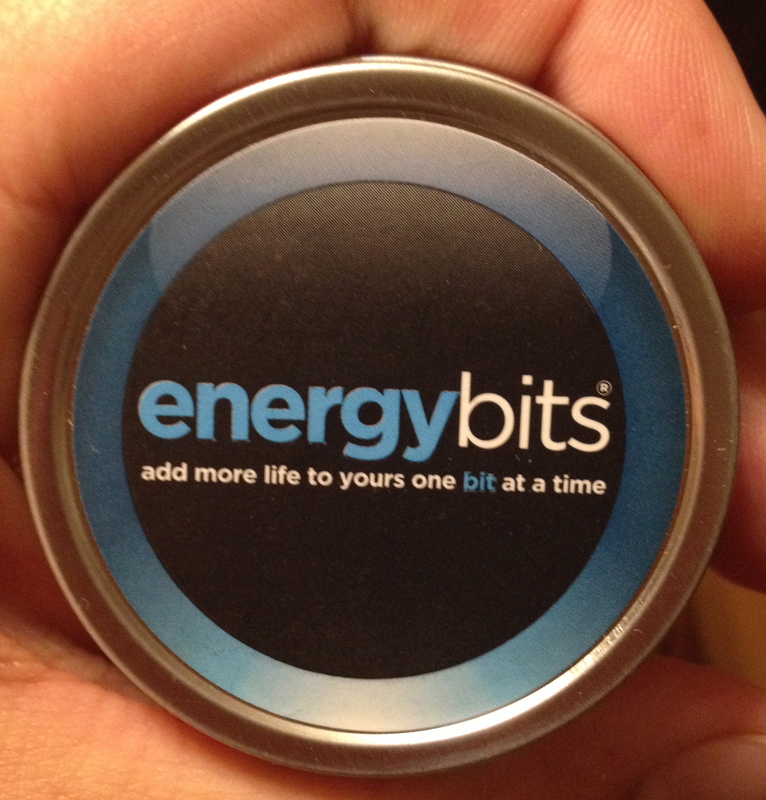 Energy Bits – These little tablets have made workouts and runs so much better! I am still amazed at how they give me so much energy, keep me alert, focused and on track. Since I started using bits back in January, I can see a huge difference when I forget to take them or if I run out. Thankfully this little tin is a convenient way to grab what I need and have my energy source ready for me to use. 4. Injijni – A few years ago I tried the Vibram 5 finger shoes for a bit. Although they are not a shoe I wear often, they did lead me to my all-time FAVORITE sock! They might look a little strange, but to me they are so comfy and since I began wearing them back in 2010, I have not had ANY blisters! That is coming from the girl who had them ALL the time, even from small races! 5. Headbands – Since I discovered cloth headbands a few years ago there has hardly not been a day that I did not have one at at some point! I LOVE headbands! I have a few brands that work well with my head and the different activities I do. From work, to the gym, to running around town to dressing up, I am a headband girl! My fav brands are Bondi Band, BAMR Bands, Sparkly soul Inc, and MyBand headbands. A few of my FAV Bondi Bands! 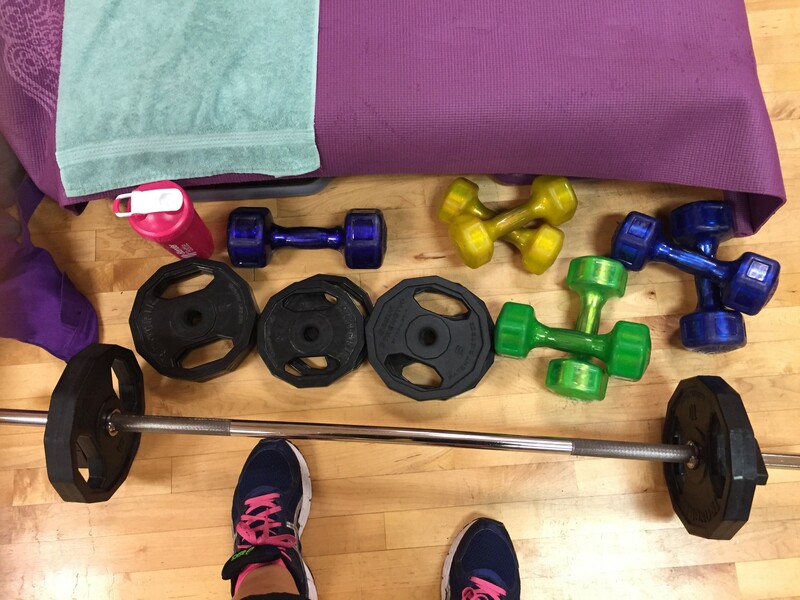 What are 5 of your favorite things in your gym bag? Do we have any of the same items? This entry was posted in Uncategorized and tagged energybits, fitness, gym, Injinji, New Balance, Polar, workouts, Yoga on May 30, 2014 by chocolaterunnergirl. Hello all! Hope everyone is able to stay warm! Even here in the south we have had some days with questionable weather and schools, offices, and pretty much the entire city of Houston shut down from the ‘snow.’ Granted we did get some ice, and I know that not everyone has the same experience I do with driving in real winter weather….but I always am still a little shocked when the stores are out of bread and milk for the possibility of snow. So back to last weeks workouts. For the past 12 days or so I have have some pain in my left foot. I decided to take it a little easier last week with running to see if that would help. Monday- 2 miles of walking around the neighborhood pulling the twins in their wagon. Tuesday- 1 mile of walking to and from the park. I also attempted Body Pump Tuesday night. I wasn’t feeling super strong so I ended up lowering most of my weights for the class. Even with that I had some strange pains in my back and shooting into my right leg. Wednesday – I headed to the chiropractor after work and it turns out my lower back is REALLY tight. And no squats for at least 3 weeks. I am also putting myself on limited lifting till I get this back stuff worked out. That reminds me I have a massage gift certificate I need to use. This feels like a great time to use it! Friday – It was a ‘snow’ day and I only worked a half day. After work I shut myself in my office and did some major work! Saturday – 5k plus walking around and to/from the car. 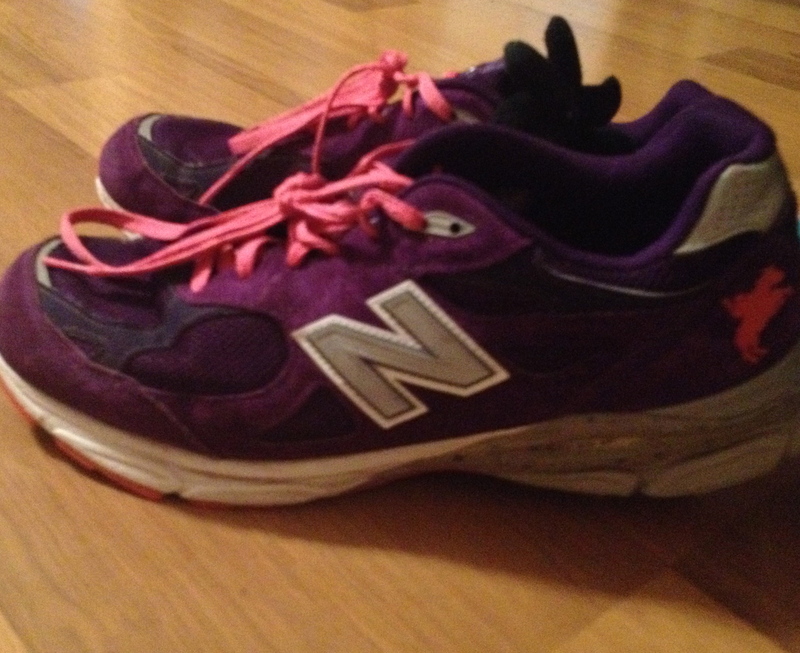 Sunday – I was feeling really good and went for a jog in the neighborhood. I was going to try for 5 miles, but ended up passing several houses with dogs who came running after me barking. So instead of running up and down my driveway a thousand times, I called it quits at 3.2 miles. Overall 10 miles for the week. Considering the physical issues I was/am dealing with I was sort of ok with that number. Back in November I saw there was going to be a chocolate 5k in Houston! 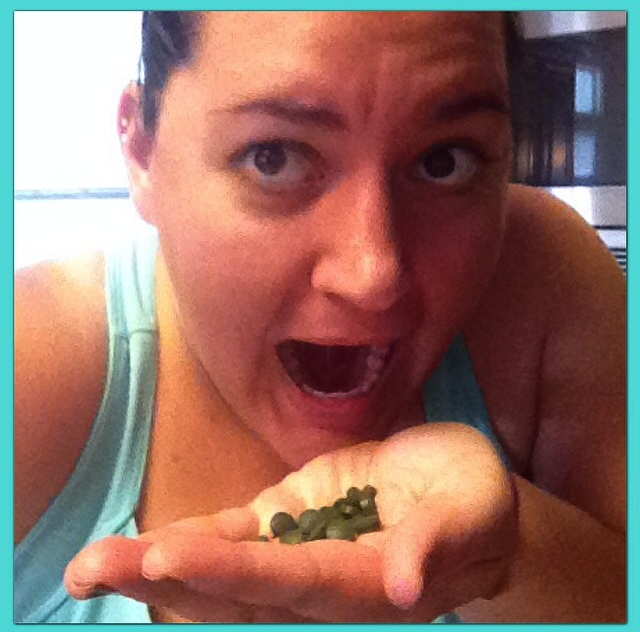 Well, as you can tell by my blog title, I love me some chocolate! So I signed up in mid- Dec along with a few friends! After my ‘race’ last weekend, and the pain I was having in my foot I decided that I was just going to walk this one with my friends who were also walking for various reasons! As the race got closer I started to look for more information about where to pick-up packets, parking, race map, etc. The normal race day info. The only info was that there was no race-day packet pick-up, and the only 2 options were on Wed from 10-3 and Friday from 10-6 in an area of town that is at least an hour drive without traffic. Needless to say that was somewhat frustrating. On Thursday evening I was able to connect with one of the race directors and explained my situation (I know I was not the only one with this issue). He did say that he would pull my packet along with my friend’s packets so we would be ok for race day. I was grateful for that gesture. Late Friday afternoon we finally received an email with more specific race information. I DO understand this was a smaller, local race, and it was the 2nd time they put it on, but I did feel they could have had more information available earlier than 15 hours before the race. We got to the race right when they opened up the day of registration table. So it turns out we were not the only ones who did not pick up packets during the week. I would say a high percentage of the race bibs were still there waiting to be picked up! Since it was so chilly we went back to the car to wait till closer to 7:30 to get out again. We got out of the car with a few min to spare for a pit stop then headed to the start line. As soon as we stopped moving we got cold again. We went and got our t-shirts and then found some amazing hot chocolate!! We stood in line for the chocolate buffet for a few min then our other friends joined us. Since the line was so long we all took turns going to see some of the sponsors vendor tables to get some samples and goodies. The chocolate buffet had strawberries, bananas, graham crackers, mini candy bars, brownies & cookies . At the end was a chocolate fountain to cove your selected items in chocolate. My favorite selection ended up being the chocolate covered banana! This entry was posted in Uncategorized and tagged 5k, choco loco, Chocolate, injury, race, running, workouts on January 30, 2014 by chocolaterunnergirl.